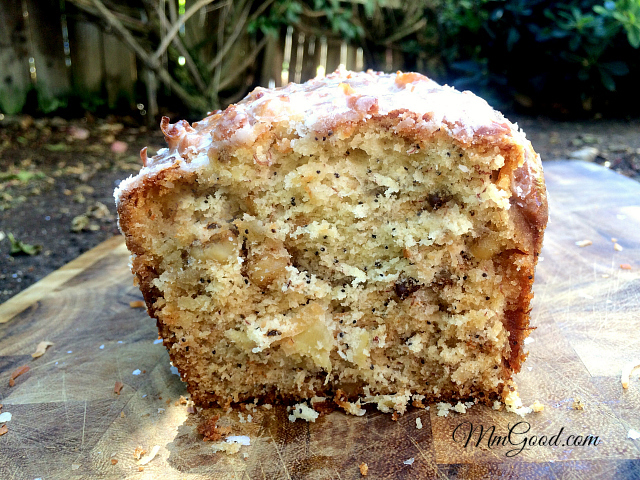 Let’s face it everyone has an amazing banana bread recipe, you know the one that all your friends ask you to make, it may or may not have chocolate chips in it and it usually has lots of oil in it making super moist. If this doesn’t scream “fall” then I’m not sure what does!!! I never grew up eating pumpkin as it wasn’t Italian and I usually only ate Italian so pumpkin anything was not going to happen, even though my Nonna (grandma in Italian) Civita had a pumpkin recipe that was amazing! I know what you are thinking…”really, Patty made salmon and ate it?? 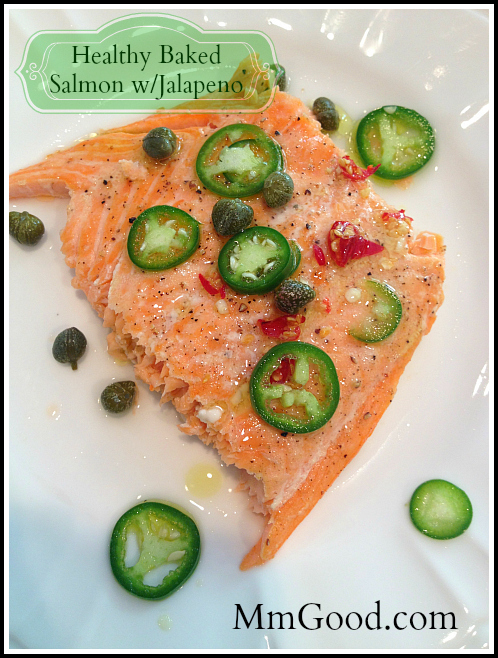 ?” As most of my friends would know, salmon is not something I would ever cook or eat as I have never been a fan of salmon. 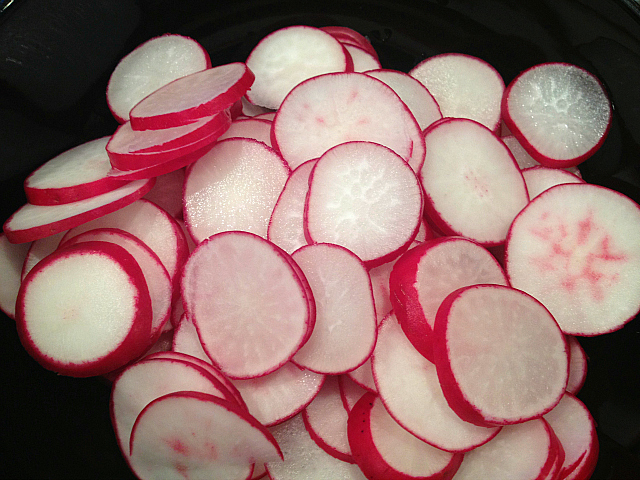 The poor little red radish, it gets such a bad wrap for being so bitter…and trust me, I do get why radishes get a bad wrap as it is a bitter vegetable and who would want to eat a bitter vegetable, right? YUMMMMMMMY…there have I said enough? 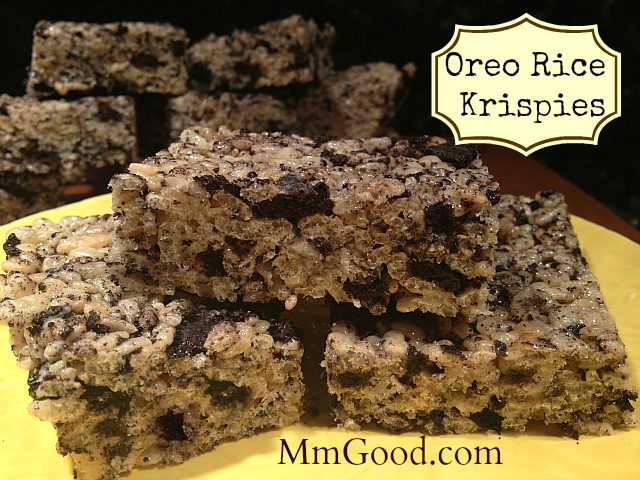 I just love rice krispies (crispies) and I found that even though they are a very simple thing to make, I always had an issue making them. My sister-in-law used to make rice krispies (crispies) for me for my birthday and I had always looked forward to receiving them as I just love rice krispies (crispies). 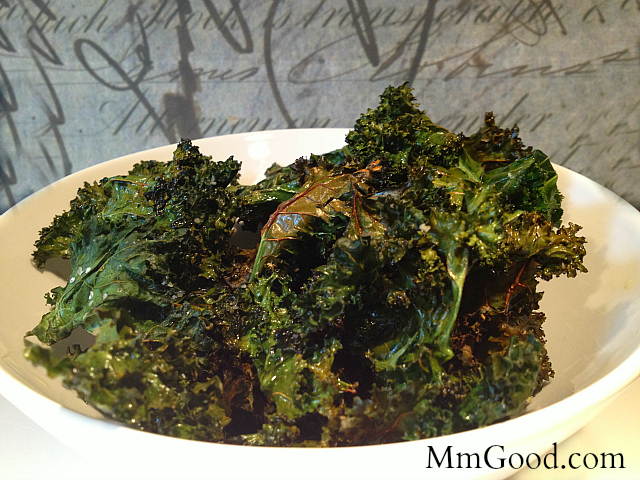 I know what you are going to say…kale chips…really??? But I can honestly say that baking your kale and creating a kale chip really is amazing…it’s healthy and super easy to make. And let’s face it, here in California every where you turn, it’s all about “kale…kale…kale” pretty much anything kale, cold kale salads, sauteed kale, kale chips…it’s like we can’t get enough kale. 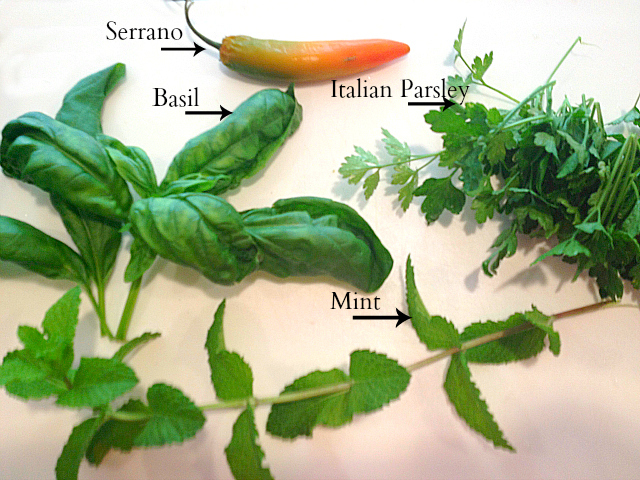 I bet I know what you are thinking…what would I ever need a spicy herb with parsley, basil, mint and serrano, drizzle for, right???? Well let me tell you what you would use a spicy herb oil drizzle for…EVERYTHING!!!! And the best part about this oil drizzle is…is that you can modify it and create many other options that you will just love…love…love! Today is June 10th and June 10th was my mothers birthday…she passed away from cancer almost 20 years go. 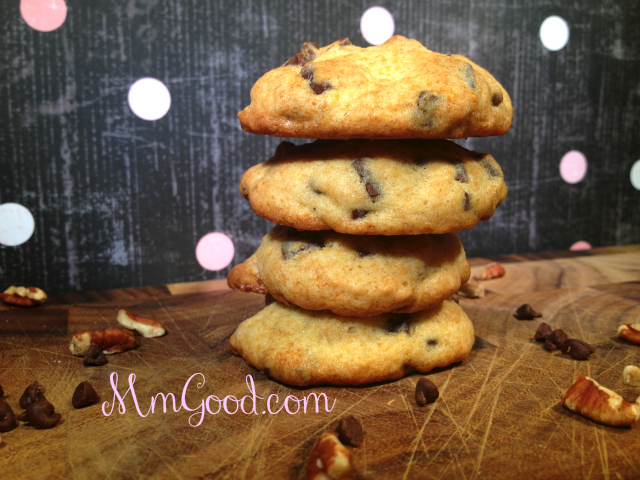 So to honor her, I thought it would be fun to make one of my favorite recipes Banana Chocolate Chip Cookies, this cookie recipe was a favorite of mine from childhood. 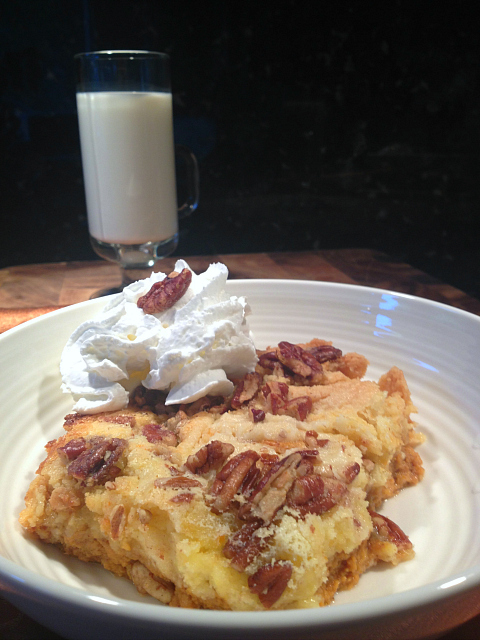 This is the original recipe that I used to make with the only change being I added pecans instead of walnuts and I added some vanilla extract. 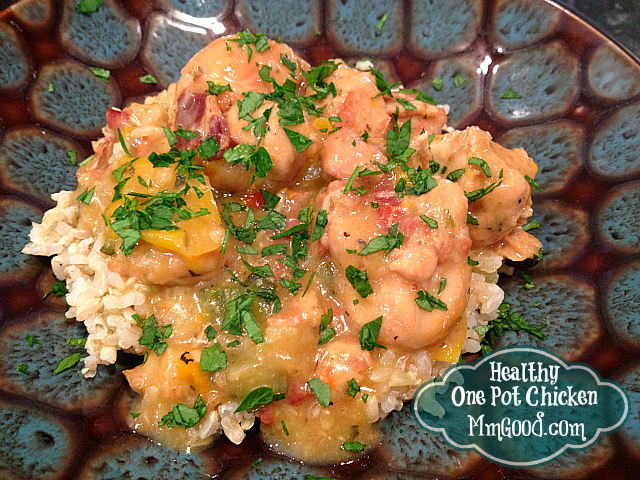 Healthy One Pot Chicken, with Vegetables and Bacon! I don’t even know where to begin on this recipe…hmmmm…let’s see, my Healthy One Pot Chicken is so easy, so amazing and is so versatile that you can’t go wrong with this recipe, that I can assure you!!! 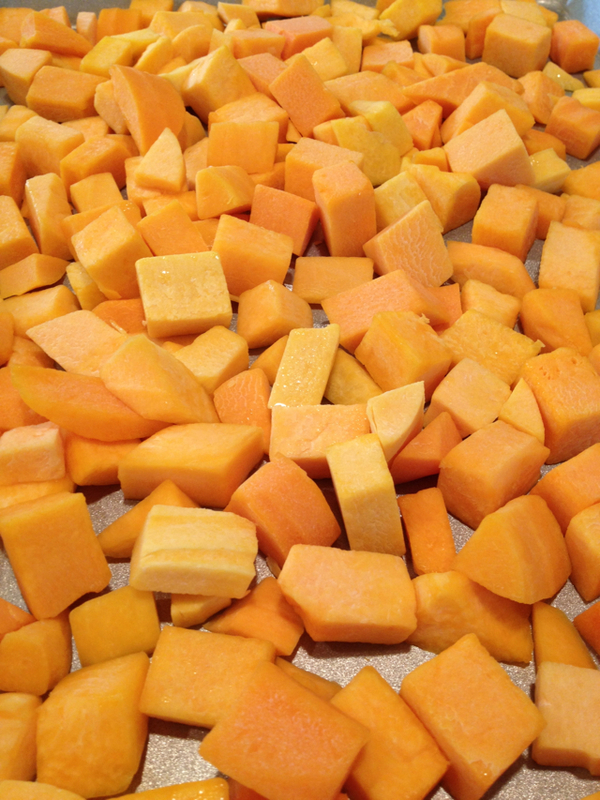 It’s “Tasty Tuesday”…while I know that butternut squash is not a spring vegetable and usually you only find it in the fall, in today’s day and age, seems like you can find anything anytime. I was shopping in my local Costco and I noticed they had precut butternut squash, my initial thought was it’s out of season but when I picked up the package, it looked so fresh I just had to buy it. I usually roast my butternut squash, even if i’m making a soup out of it as roasting them brings in a whole new element to any dish. 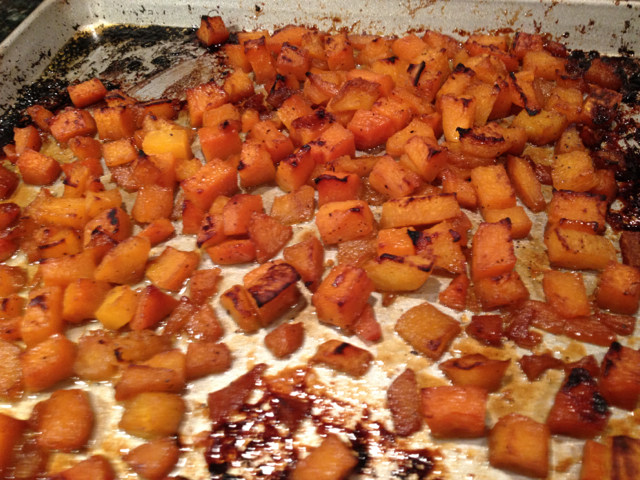 When I roast my butternut squash, I usually toss my butternut squash in some olive oil, then I put it on a baking pan add brown sugar, salt and pepper and I bake it in a 400 degree oven for 50-60 minutes. It comes out amazing!!! I thought to myself, is there another option? So I searched the web and found a recipe I believe belongs to Ina Garten, although the recipe I got only had the measurements and not the actual instructions. I knew I had two options, I could look up her butternut squash recipe to confirm the ingredients and how to make it or I could take the measurements and create it the way I thought would work. If any of you know her recipe or want to look it up, I’d welcome your feedback. 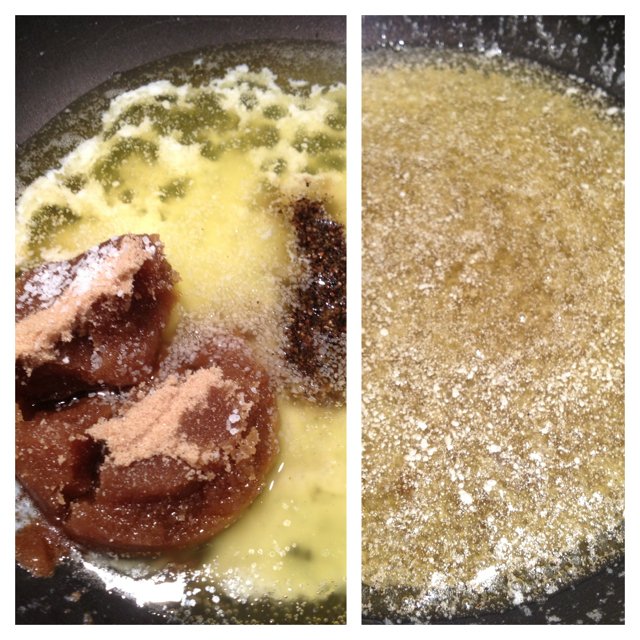 The biggest difference is is that she uses melted butter instead of olive oil. I know this small change of butter instead of oil would add a lot of flavor and calories but I was up to the challenge. It’s a very rich dish and very easy to make. 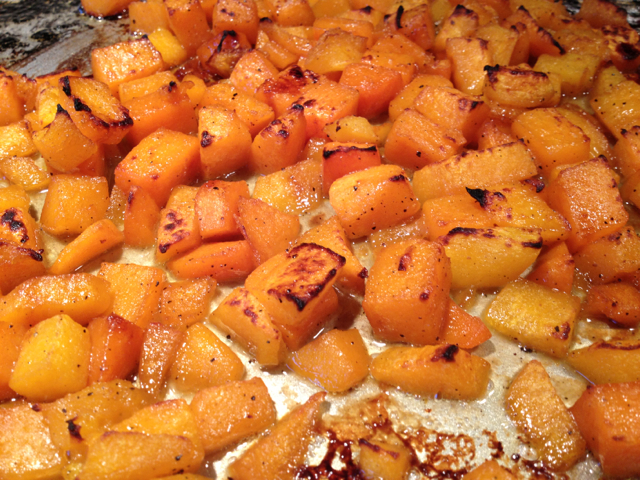 I will say that while I really enjoyed the butternut squash cooked with the melted butter, they were very rich. I personally think I enjoy them my way. I will do them that way next time so you too can compare. 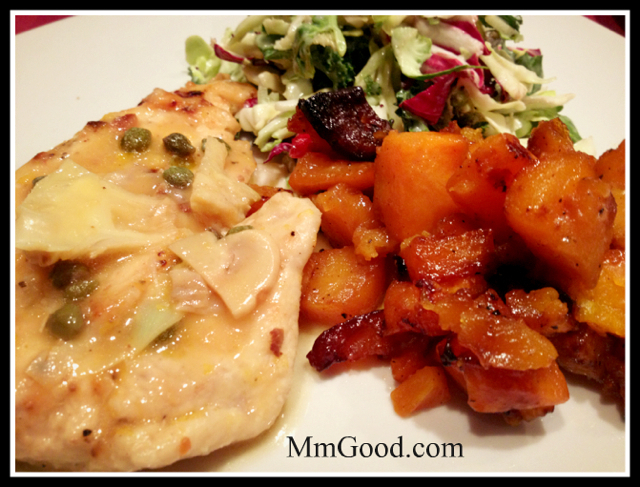 Thank you for visiting my site and I hope you enjoy this recipe along with others. To make sure you are being kept up with all my new posts, please make sure to subscribe in the box listed on the top of the page. You will be emailed with a link to confirm you are interested in the subscription so be sure to click on that link too. Thank you again! 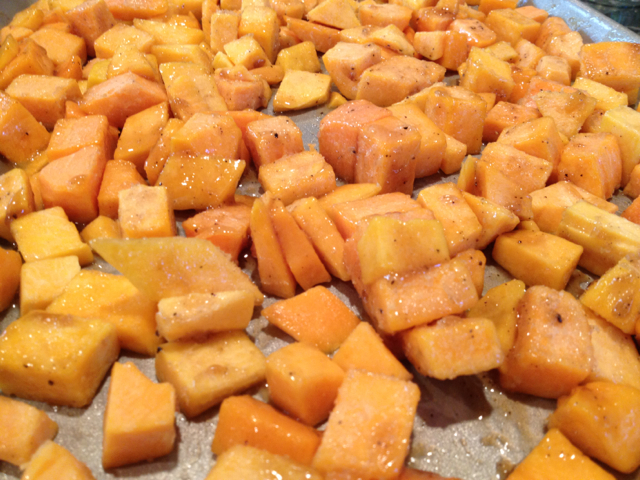 Preheat your oven to 400, put your cubed butternut squash on a baking sheet. Once your butter is melted, coat your butternut squash with the melted butter and spread your butternut squash out in a single layer on your baking sheet. Place in your oven. 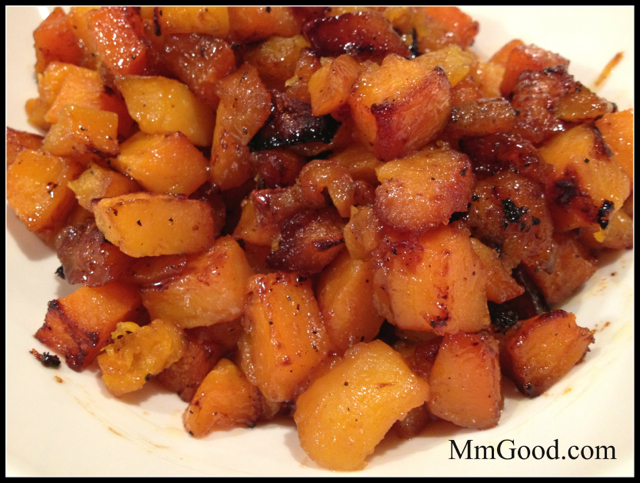 After 20 minutes toss your butternut squash, toss again in 20 minutes. 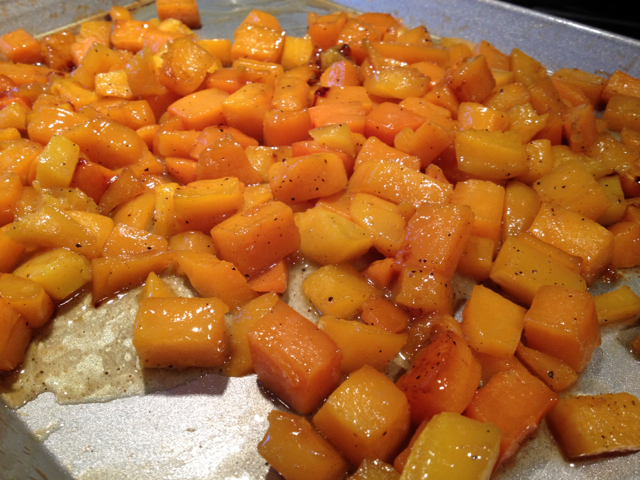 Your butternut squash is probably cook through if you are happy with the outcome then you are all done. For me, I put my broiler on and broiled it for an additional 3-5 minutes.